Last month, Aldi pushed through the £10 billion sales barrier in its UK and Ireland stores for the first time as shoppers snapped-up luxury products and cut-price vegetables. Mince pies and Irish cream liqueur, along with beef roasting joints were top of the shopping lists, with the German discount supermarket’s “specially selected” premium range increasing sales by 30 per cent. In UK stores, total sales were up 15 per cent during December compared to the same month in 2016. During December, Aldi stores sold more than 6.8 million bottles of wine, champagne and prosecco – over 200,000 bottles per day – along with more than four million mince pies and over 100 million packs of vegetables. Aldi and German rival Lidl have been waging war on the Irish and British grocery markets in recent years. 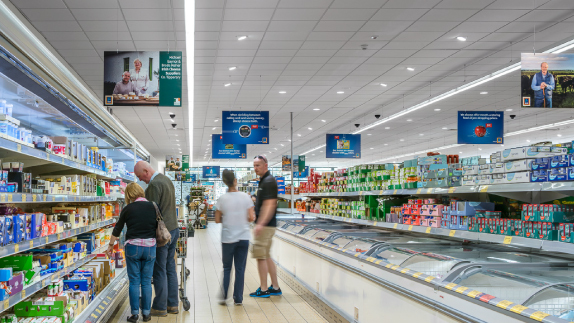 Although, SuperValu, Dunnes Stores and Tesco remain the top supermarkets in Ireland in terms of market share, recent figures show the German chains have a market share of just under 12 per cent each.